The pastor of a church in Aurora has been charged with three felony counts of theft by deception for allegedly bilking three men, including one member of his church, out of more than $470,000. The pastor, 49-year-old Howard Richmond, of the 2900 block of Brossman Avenue in Naperville, was taken into custody about 6 a.m. Wednesday without incident after Aurora Police executed a search warrant at his home, according to a release from Aurora police. Richmond heads Life Ministries, a storefront church located at 4054 Fox Valley Center Drive in Aurora. The criminal charges are the culmination of an ongoing Aurora Police investigation that began more than 13 months ago when a 60-year-old Skokie doctor who is a member of the congregation at Life Ministries, accused Richmond of swindling around $400,000 from him between December of 2008 and March of 2009. The doctor said that Richmond approached him following a service about investing money to help purchase the shopping center property where the church is currently located, and to help fund the building of a new church. According to the victim, Richmond apparently had documents indicating he had several million dollars in the bank but due to a complicated business partnership, could not access the funds until a later date. Richmond also allegedly promised the doctor a healthy return on his investment, the release said. After initially giving Richmond $11,000 the doctor handed over money on several more occasions when Richmond gave him differing reasons as to why he couldn’t access the money from the previous business relationship. 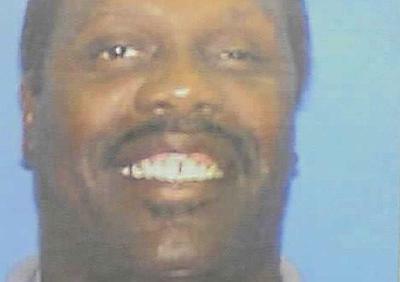 Richmond allegedly used the same ruse to deceive a 43-year-old Aurora man with whom he had a previous business relationship out of $8,000 in May, 2009; and a 64-year-old Chicago dentist who had purchased some church related DVDs, out of more than $67,000 between July and August of 2009. It is not clear what Richmond did with the money, police said. Richmond’s bond call is pending in DuPage County Court.